The city of Greifswald, the University of Greifswald and the local technology incubator WITENO have joined efforts to provide the growing digital and creative eco-system in Germany’s northeast with an attractive hub for communication, cooperation, and entrepreneurship. 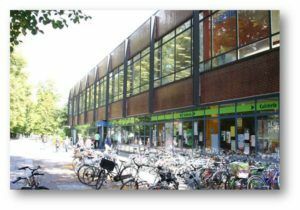 The consortium plans to convert the recently shut down university cafeteria conveniently located in the scenic Greifswald inner city. It offers some 8,000 sqm to be flexibly used for coworking spaces, office and production facilities for start-ups and young entrepreneurs as well as business development agencies. The concept will be tailor-made within the scope of research project HIERDA funded by the German federal government.